At Teachworks, we’re committed to providing our customers with easy teaching centre software that can save time, improve productivity, and add value. Thanks to everyone that takes the time to reach out with feedback. Your feedback allows us to improve the Teachworks experience for everyone! 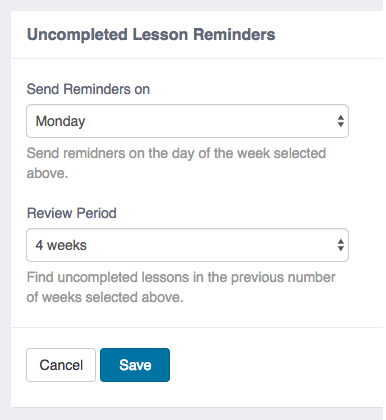 This add-on automatically sends a reminder to teachers to complete their lessons if they have any uncompleted lessons within a certain period of time. Once enabled, you can choose the day of the week on which reminders are sent as well as a “Review Period” of up to 5 weeks. If you set the review period to 3 weeks for example, Teachworks will check if teachers have any uncompleted lessons within the past 3 weeks and these lessons will then be included in the automated email. The email template is fully customizable, allowing you to provide teachers with key information. When adding a description to a single open class, the description will now display on the Website Booking Plugin. To improve user experience, we’ve added a “Previous” link to the Website Booking Plugin to allow users to easily go back to the main menu. When adding a course to the Website Booking Plugin, the cost of the entire course will be displayed. We’ve removed the “x” icon from the Website Booking Plugin if the form is opened on its own page to eliminate any possible confusion. Notes Last Sent – a timestamp indicating when lesson notes were last sent. Teacher Mobile Phone – the mobile number for the assigned teacher. Student Mobile Phone – the mobile number for the assigned student. Customer Mobile Phone – the mobile number for the assigned family/independent student. You can now add a space to the “Less” label to make the field appear blank. You can also display “Due on Receipt” as the actual date. It is now possible to customize the terminology for “Repertoire” if you’re using our Repertoire Tracker Add-On. To do this, go to Account & Settings > Integrations & Add-Ons > Repertoire Tracker > Manage and update the “Custom Name” field as needed. We’ve added a Time Zone column to the student/family download. We’ve added a “Repeating Series” column to the Lesson History download to indicate if a lesson is part of a repeating series. 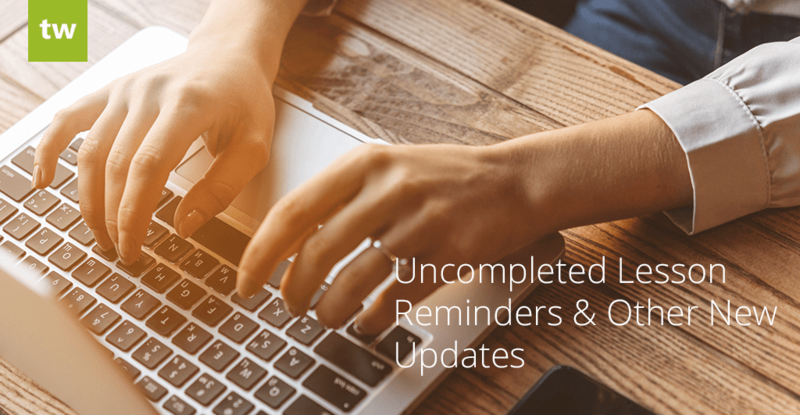 We’ve fixed an issue with Uncompleted Lesson Reminders not being processed – we personally reached out to affected companies.